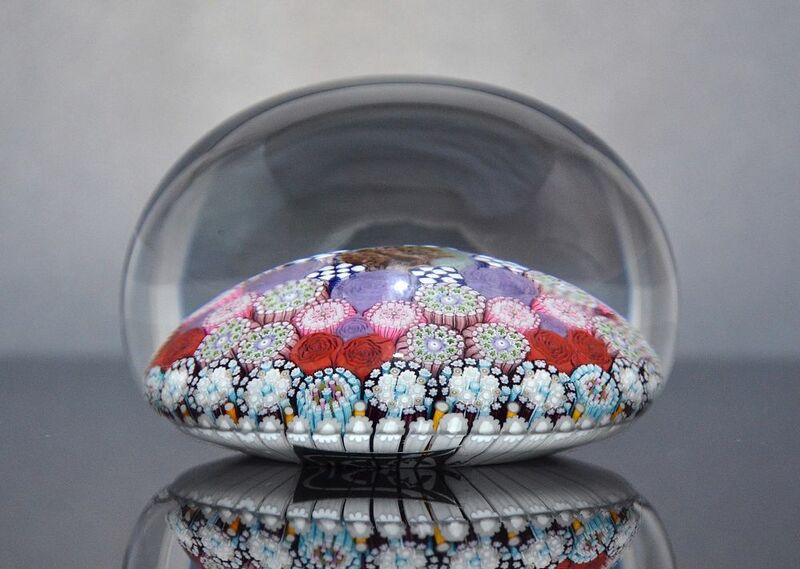 One of the new releases of paperweights that we have been very lucky to secure from Michael Hunter of Twists Glass. 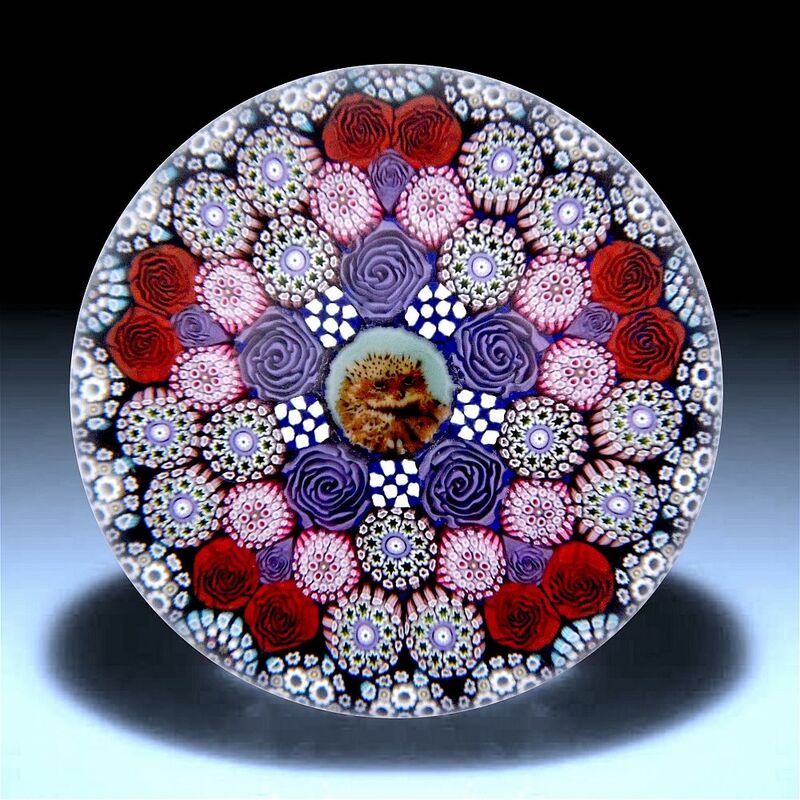 In the centre of the paperweight is an owl picture cane that is surrounded by murrine canes of purple and red roses, blue & white chequer board and complex murrine canes laid out in 10 triangular panels. The base is scratch signed "M Hunter Twists 16 1of 1" and is set with Mike's personal "MH" signature cane and has the Twists Glass studio label. The paperweight is presented in a white presentation box.